Think you’ve visited all of Malta’s museums? Think again! For such a tiny country we certainly have a great wealth of history and artefacts, most of which are on display in our most famous museums including the National Museum of Archaeology in Valletta and the National Museum of Natural History in Mdina. There are also some incredible stately homes to visit such as the splendid Palazzo Falson in Mdina. Yet the lists you find online rarely cover all the museums on the islands, particularly those off the beaten track! Located just opposite the better-known Casa Rocca Piccola on Republic Street, Valletta, The Toy Museum houses an impressive collection of toys from the 1950s onwards, including Matchbox cars, dolls, model planes and farmyard animals. It’s been open since 1998 and was the brainchild of Vincent Brown, who got the idea after visiting a similar museum in England. An art gallery rather than a museum, this building is worth visiting for its architectural features alone. Situated near the Toy Museum, here you’ll find some amazing artworks – both by well-known names, like Envin Cremona, as well as by more modern artists. The building is currently being renovated but still open to the public. 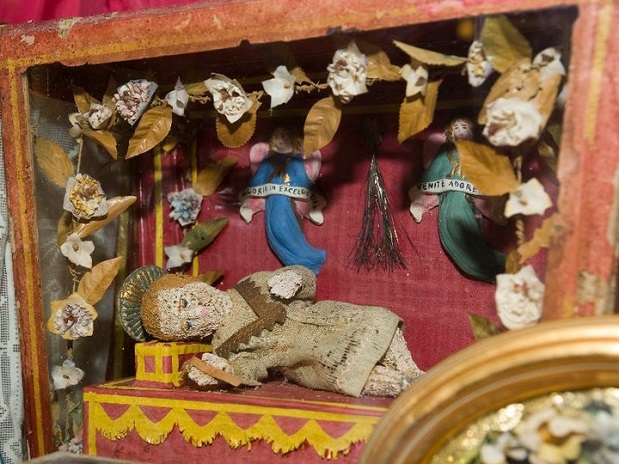 Every year in the weeks leading up to Christmas, Paul Pace, a collector of statues of the Baby Jesus, opens up this small, personal, family-run museum in Birkirkara. Il Musew Tal Bambini houses over 1,500 pieces which have been picked up and sought out on his family’s travels! Well worth popping into getting you in the mood for the festive season. Although small, the Villa Frere Museum in Pieta’ has some wonderful artefacts waiting to be discovered by exploring its historic but slightly dilapidated landscaped gardens. There’s everything from old glass bottles to carved limestone and even a slightly-creepy doll’s head as well as a chance to relax in the gardens’ surviving picturesque terraces. Currently, under restoration, entrance is free but you’ll need to head there during its open day guided tours which are normally announced on the Friends of Villa Frere Facebook page. You may even get roped into doing some voluntary clean-up work!